WTI extended losses overnight after API reported a massive increase in U.S. crude stockpiles, raising oversupply concerns. Piling on the downside risk, OECD cut its outlook for global economic growth again amid trade tensions and political uncertainty. 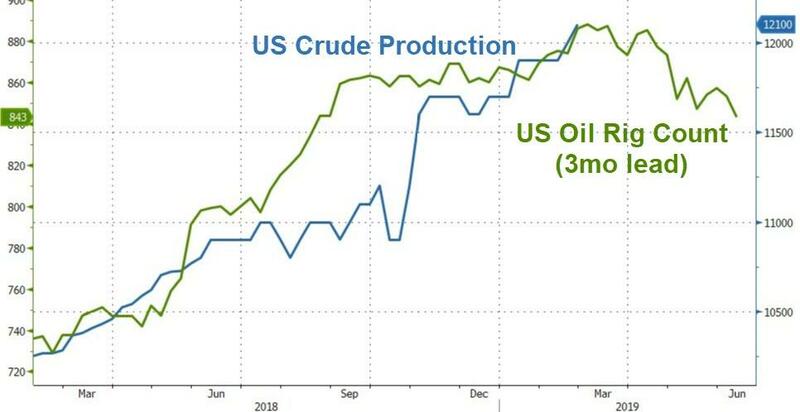 “The message is clear: the U.S. remains well-supplied and will continue to do so as oil production inches further into record territory,” said Stephen Brennock, an analyst at PVM Oil Associates Ltd. in London. 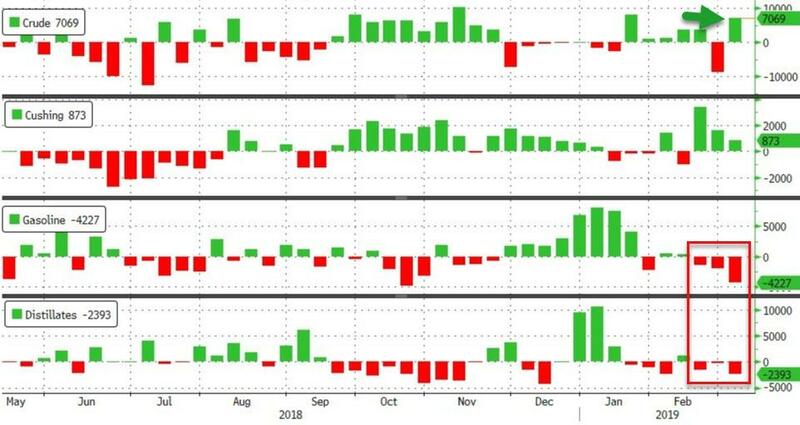 Confirming API's surprise, DOE reported a much bigger than expected crude build of 7.07mm barrels (+1.45mm exp) but sizable draws on gasoline and distillate stocks offset some pessimism. Bloomberg Intelligence's Energy Analyst Fernando Valle noted that last week's draws helped ease oversupply worries, but gasoline remains a worry in the short term. A recovery in exports could ease concerns, but with Mexico still struggling with transport disruptions, there is limited scope. We are still constructive on diesel, with domestic demand showing no signs of a slowdown. 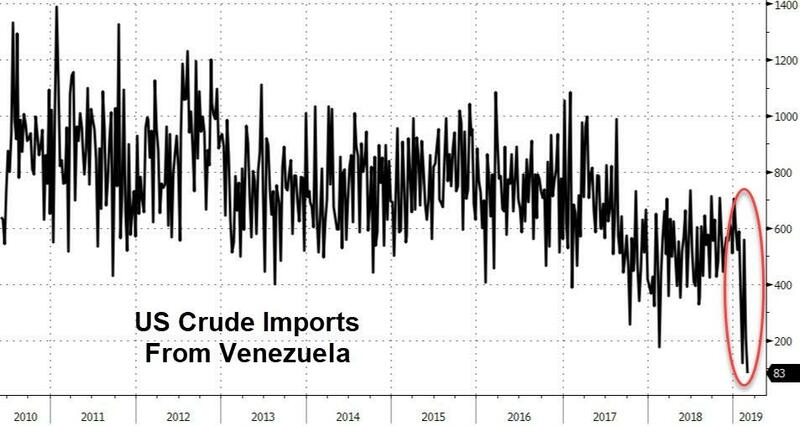 Bloomberg's Sheela Tobben notes that U.S. sanctions on Venezuela continue to take a toll on the country's crude flows to the U.S. Shipments fell to just 83k b/d last week, smallest in data going back to 2010.